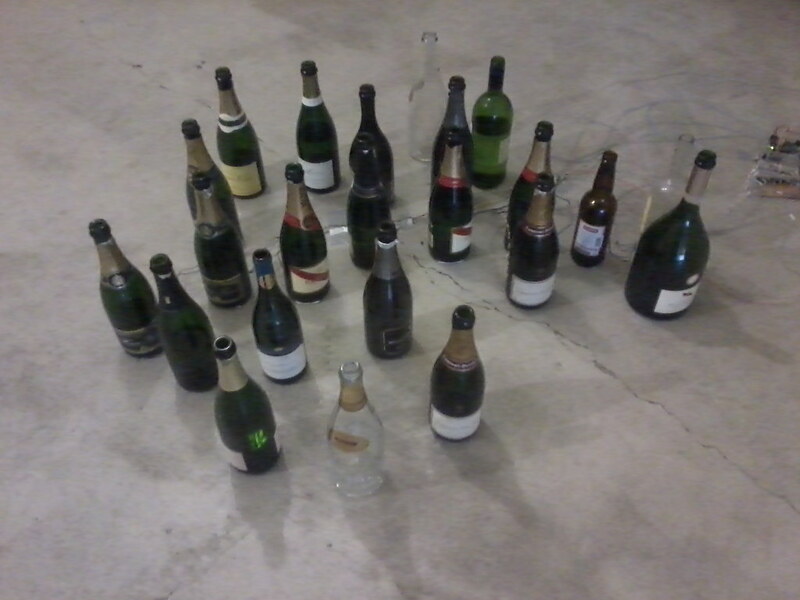 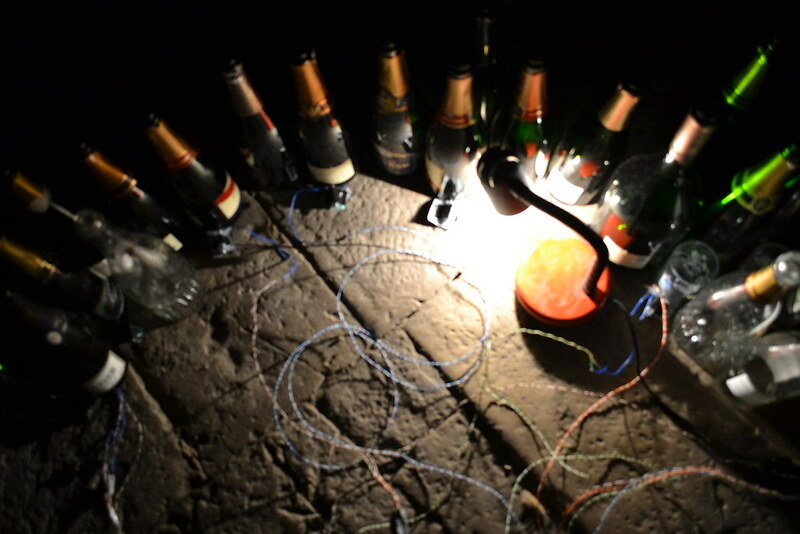 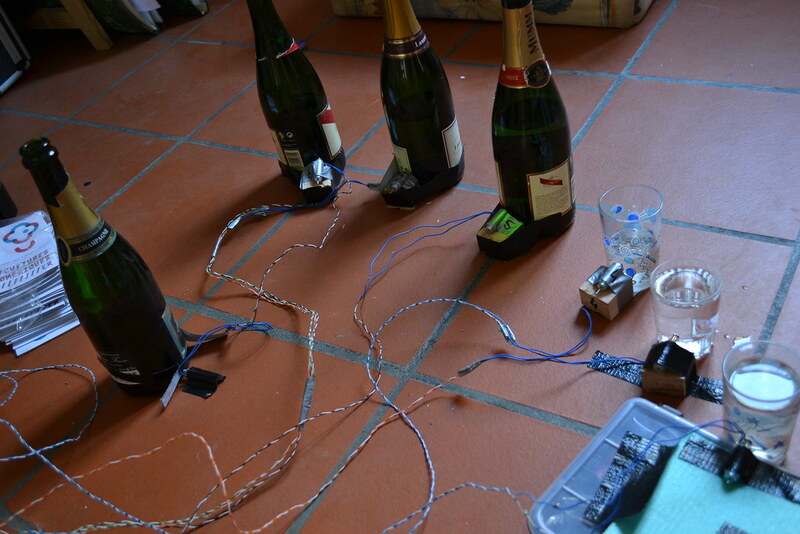 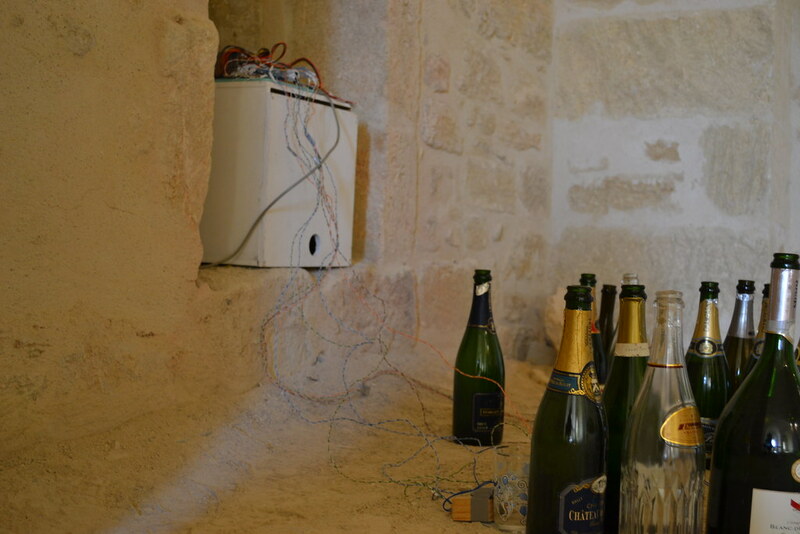 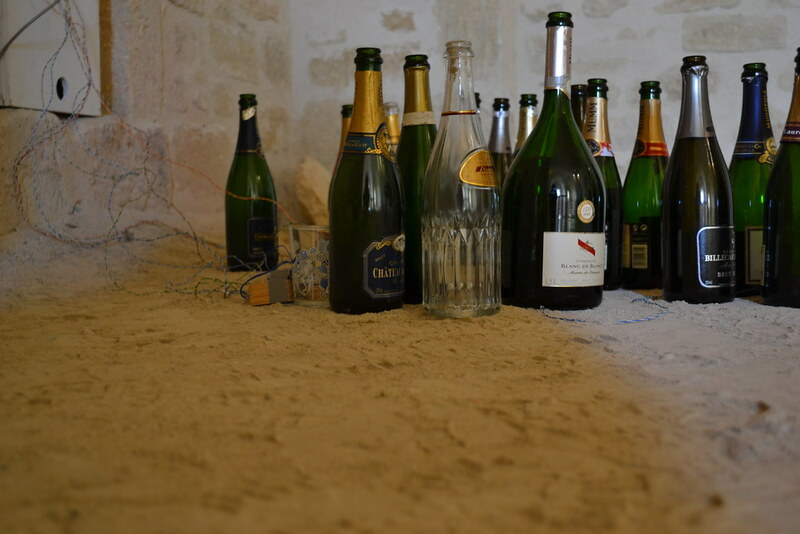 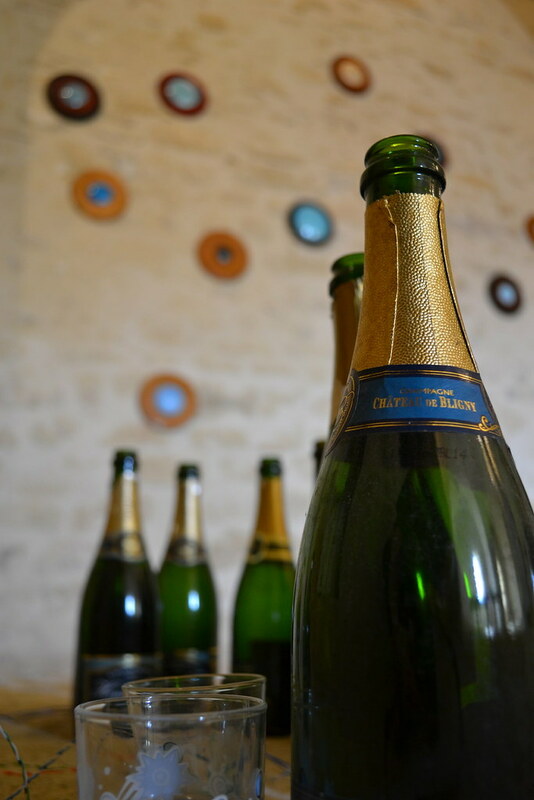 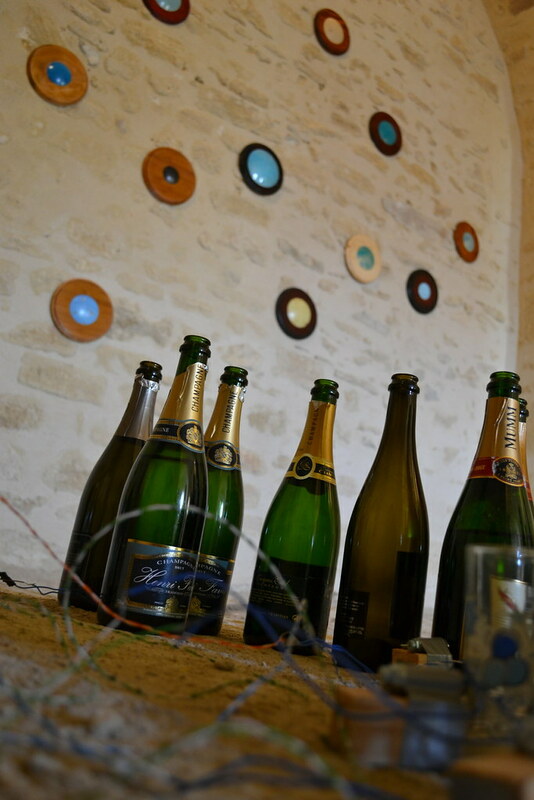 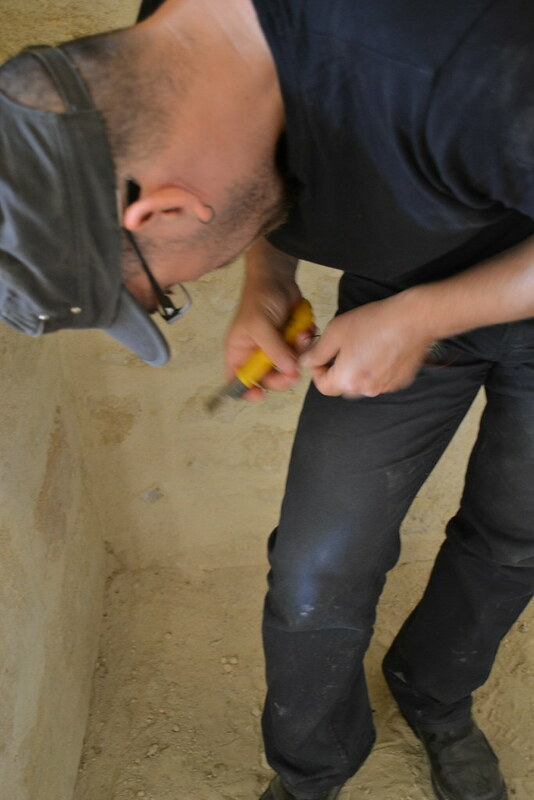 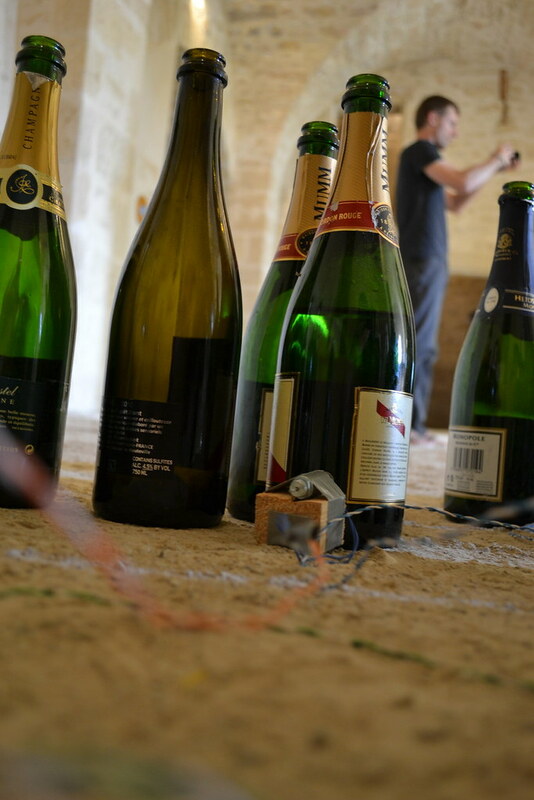 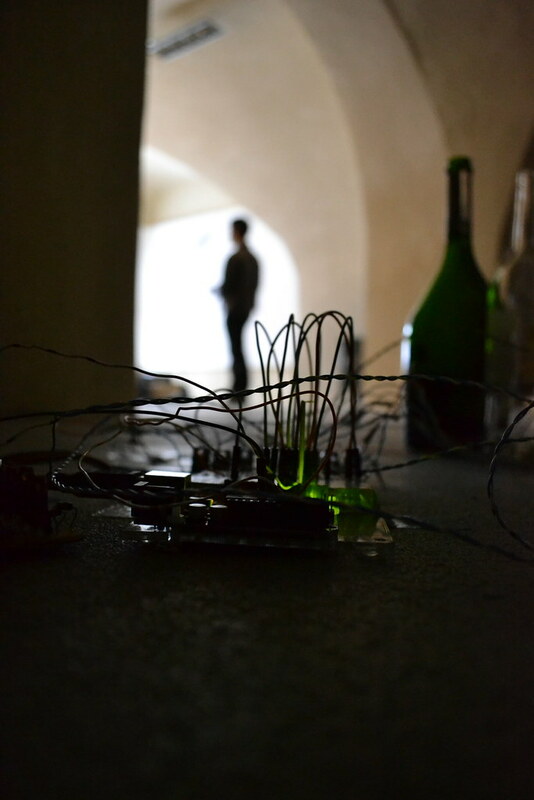 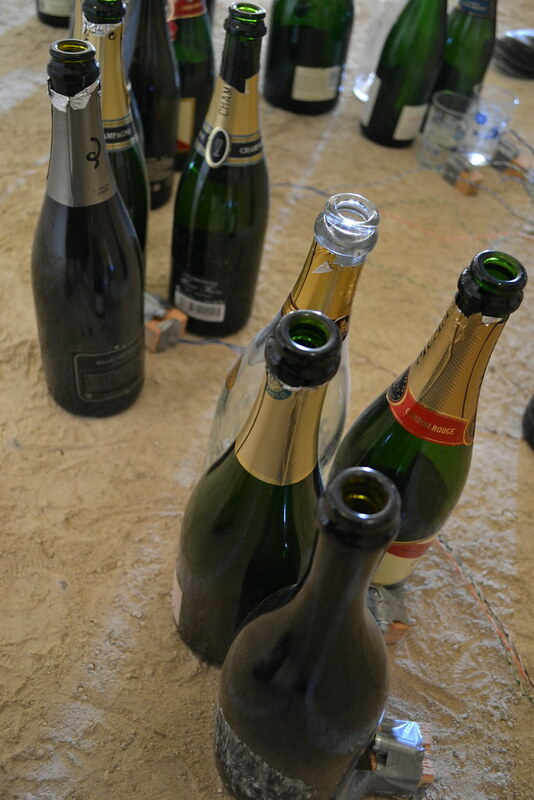 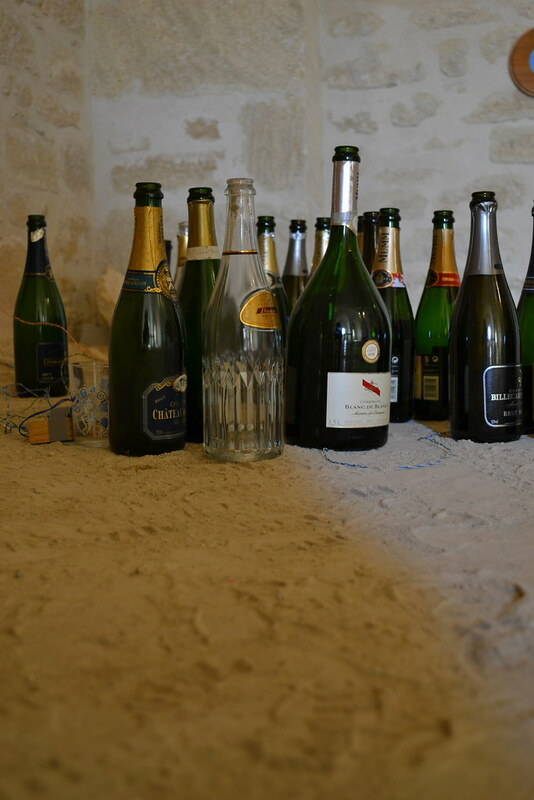 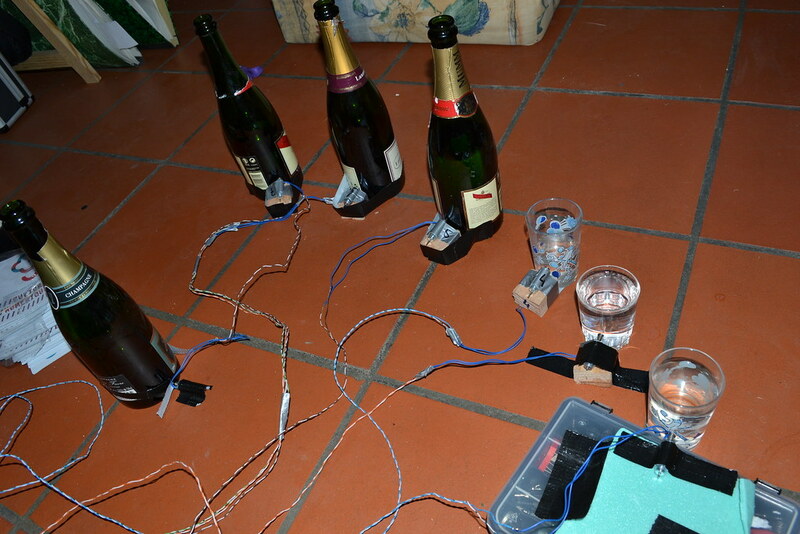 “Eventées” is a sound installation made of empty champagne bottles. 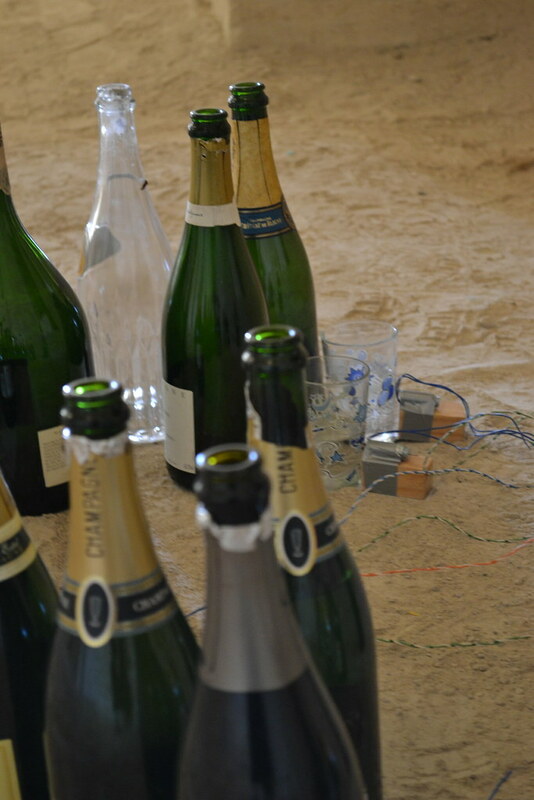 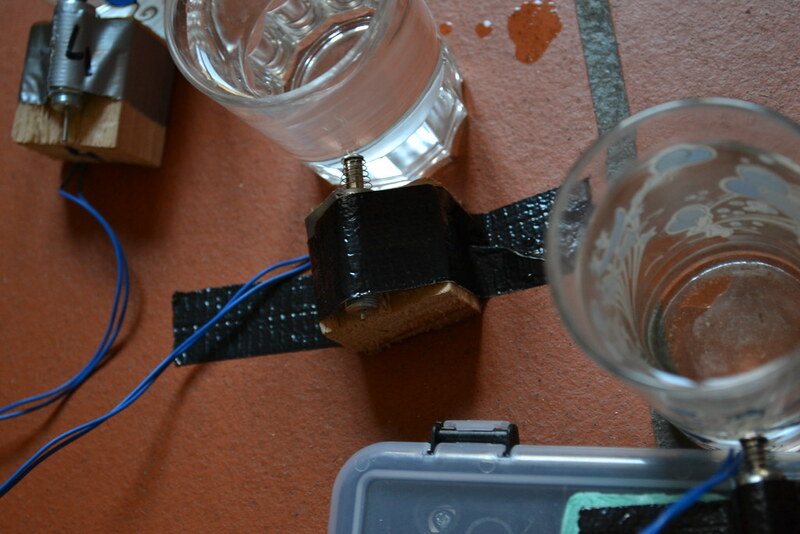 Those bottles are less or more filled with water with produces for each one a corresponding note making then music. 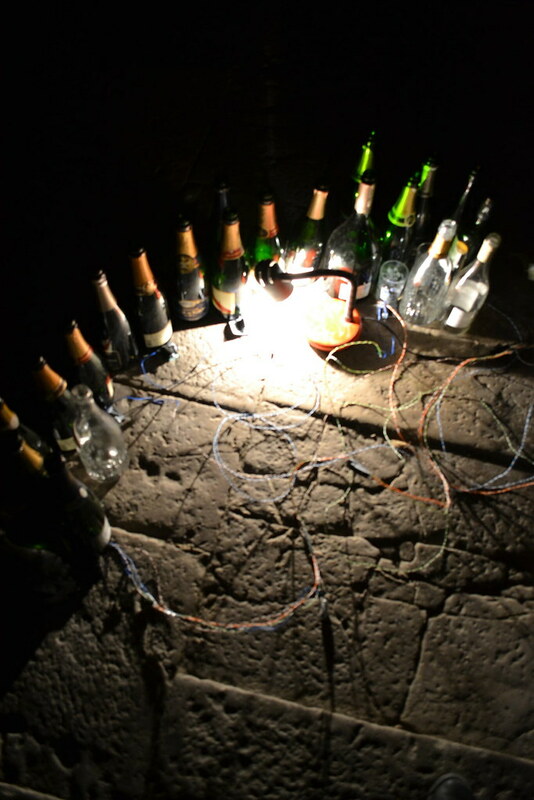 A precise score is played, the song in question is the International, the popular and federative hymn of the working class. 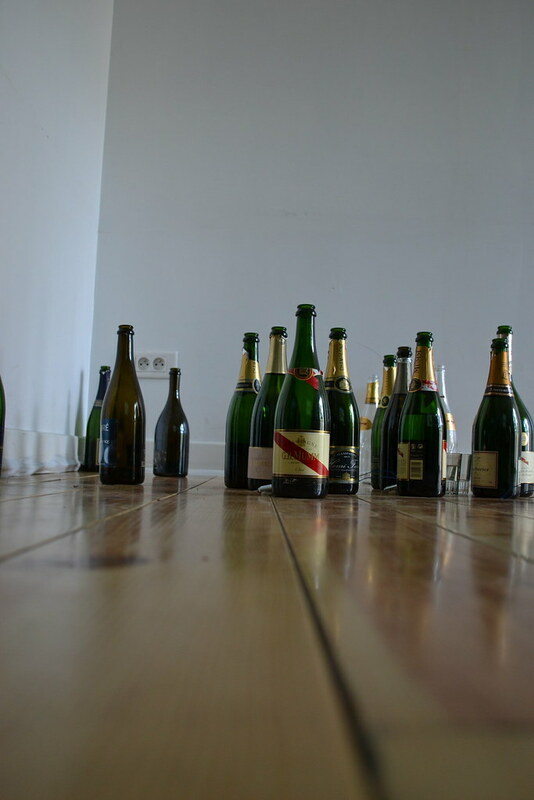 Even today, this song intervenes as a ritual within meetings left-wing policies and extreme left (LCR, NPA, FO, Lutte Ouvrière(workers’ struggle), labor unions(syndicates), demonstrations). 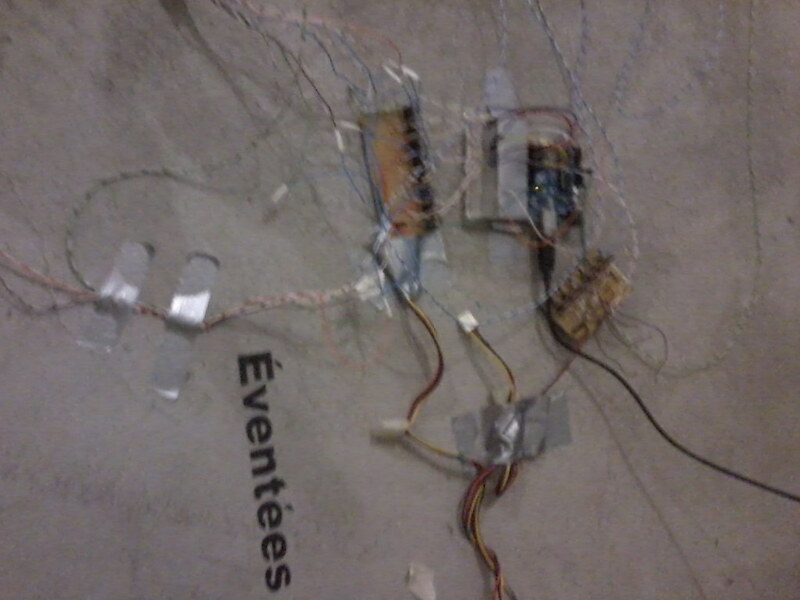 “Eventées” put in friction an historic element of our civilization and culture, establish a symbolic extension of the people and its federative strength to gather and fight against the oppression. 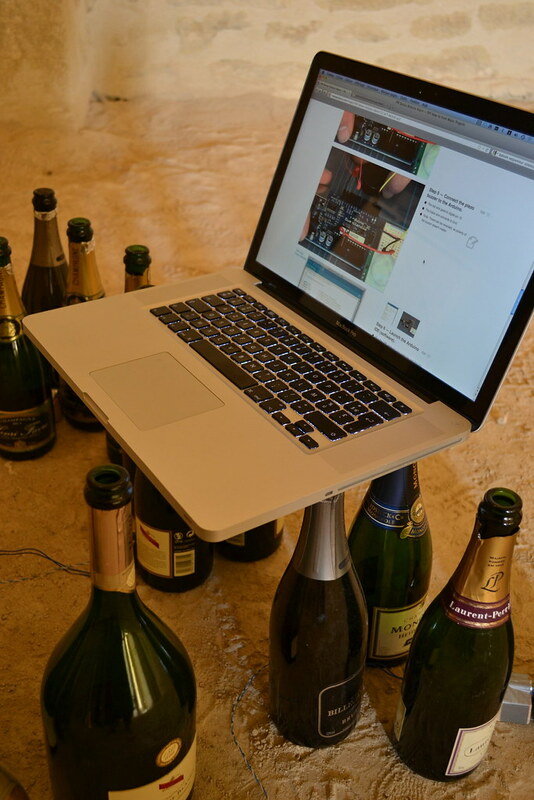 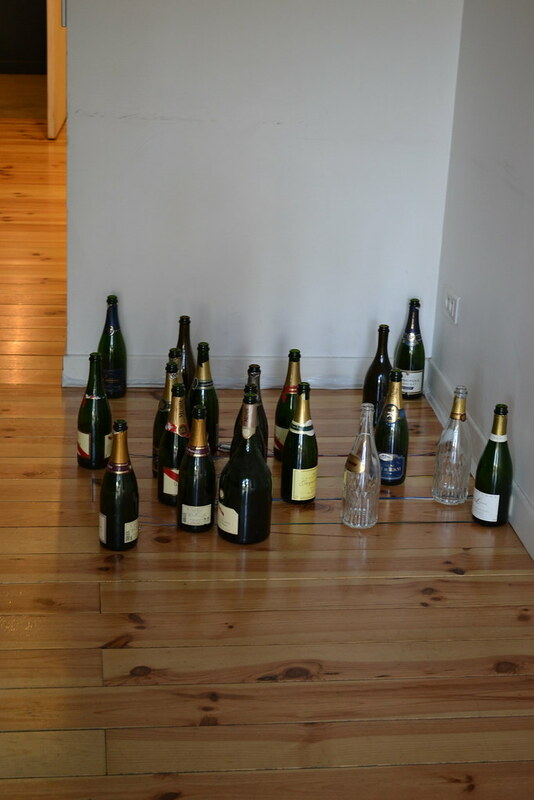 “Eventées” includes series of empty champagne bottles as a symbol of luxury and consumerism. 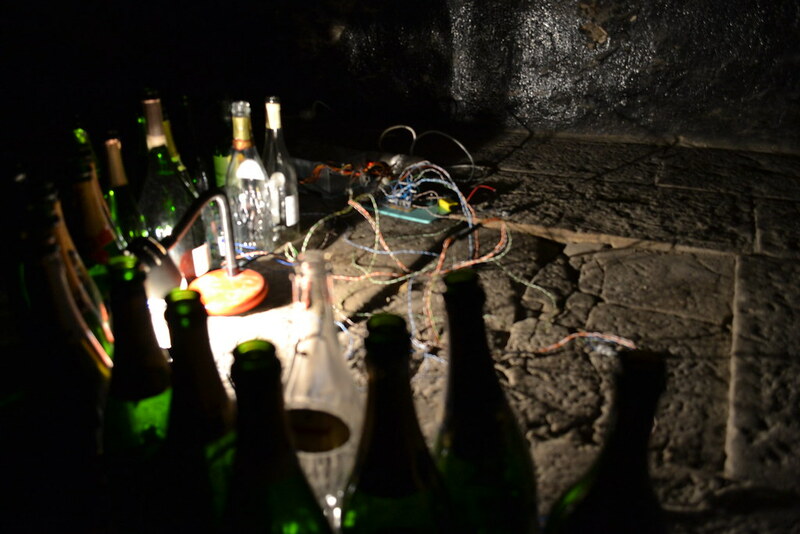 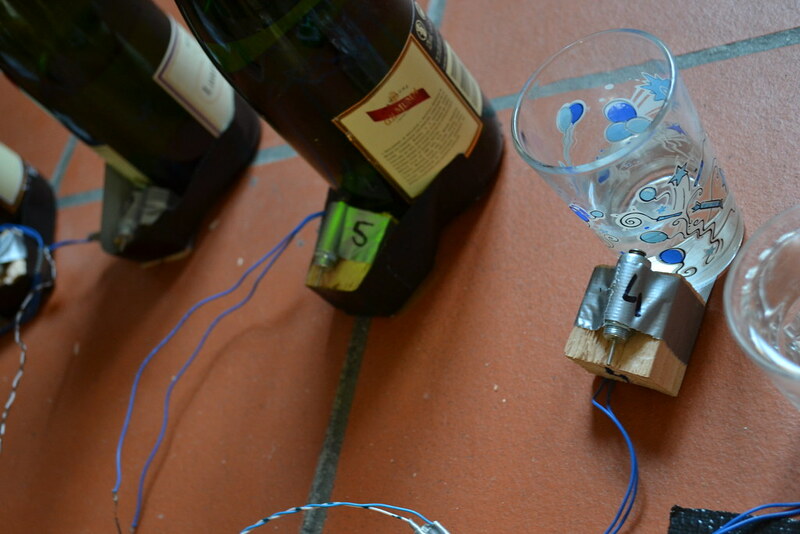 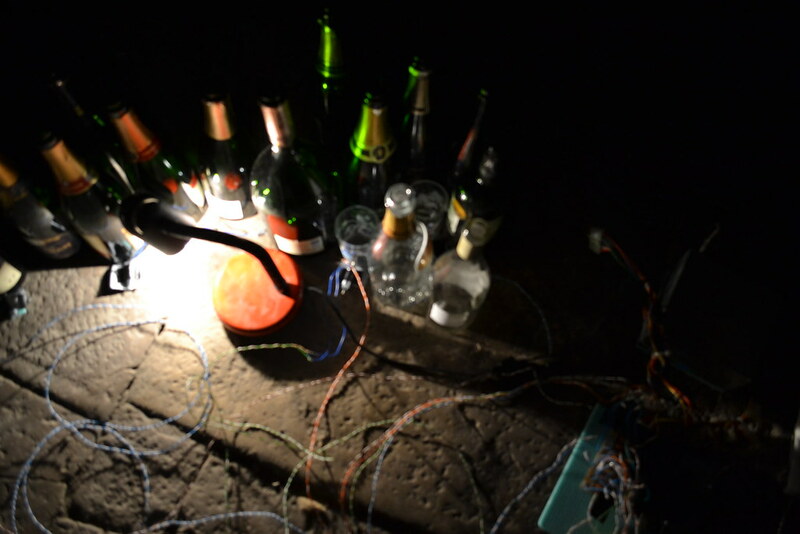 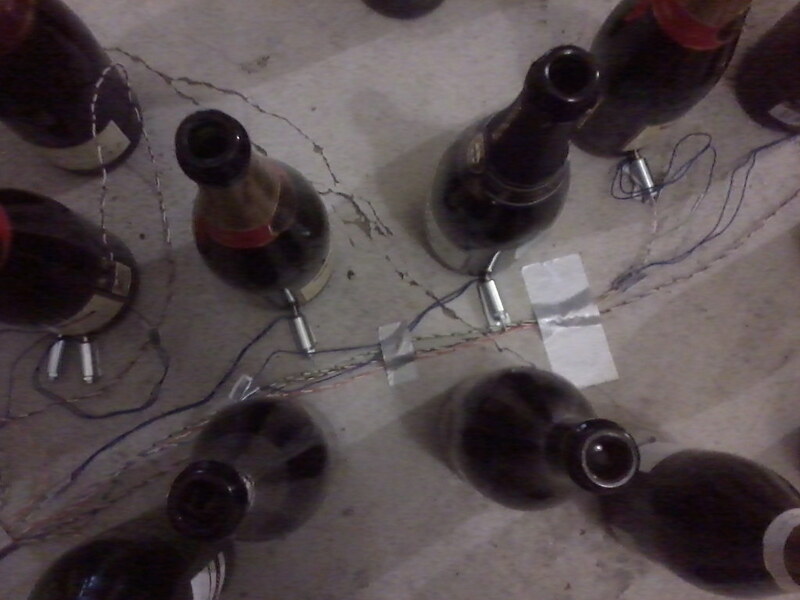 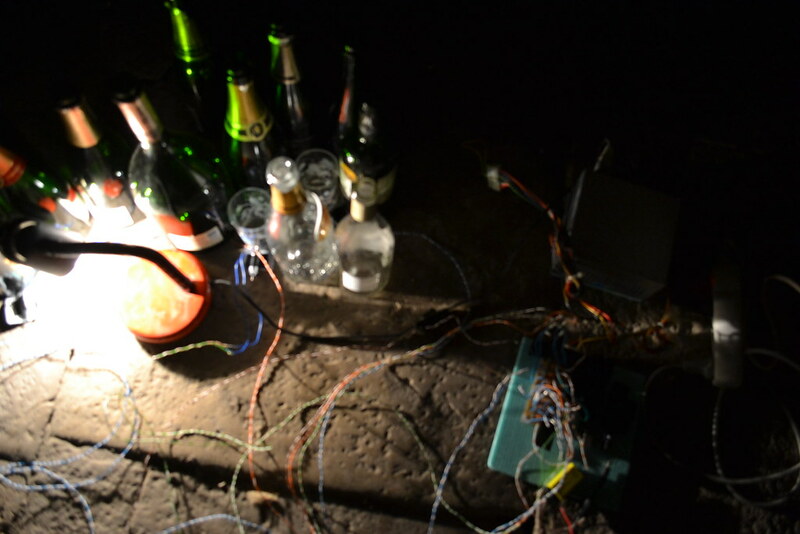 These bottles ,used as instruments, play one song deeply graved in the collective imaginary. 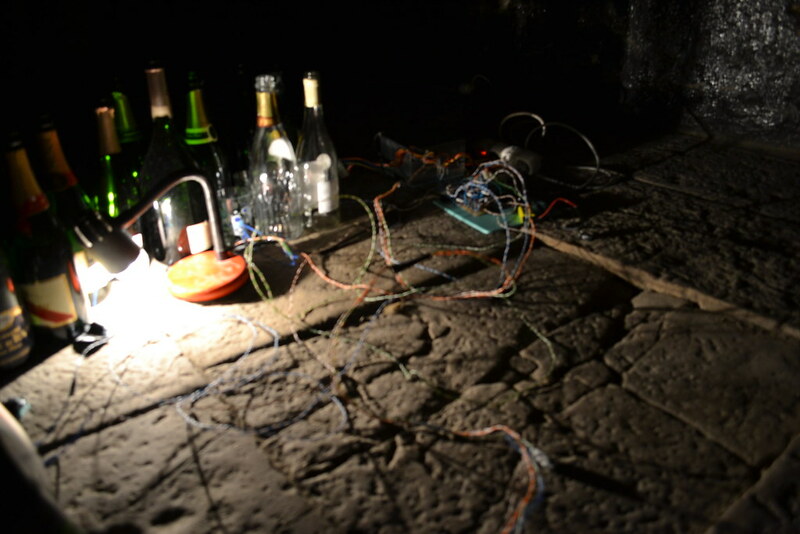 Almost as a subliminal way, this song reminds us like the pregnance of a popular mythology. 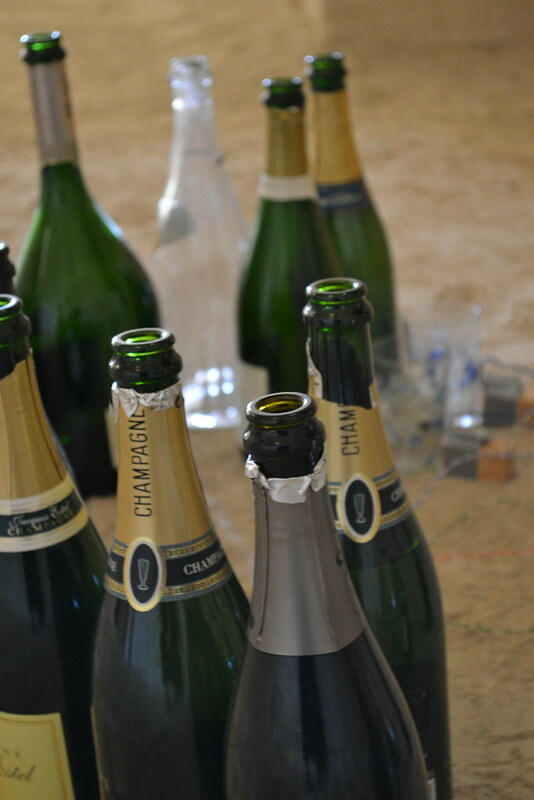 Champaign is used to amplify the contradiction, like a conflicting symbol, it sums up the wrestling against the consumption, the poverty against the wealthiness and the splendor. 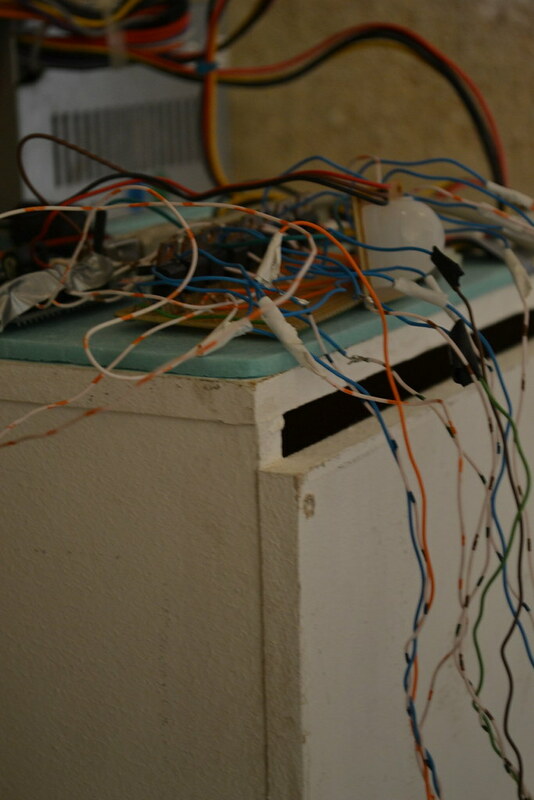 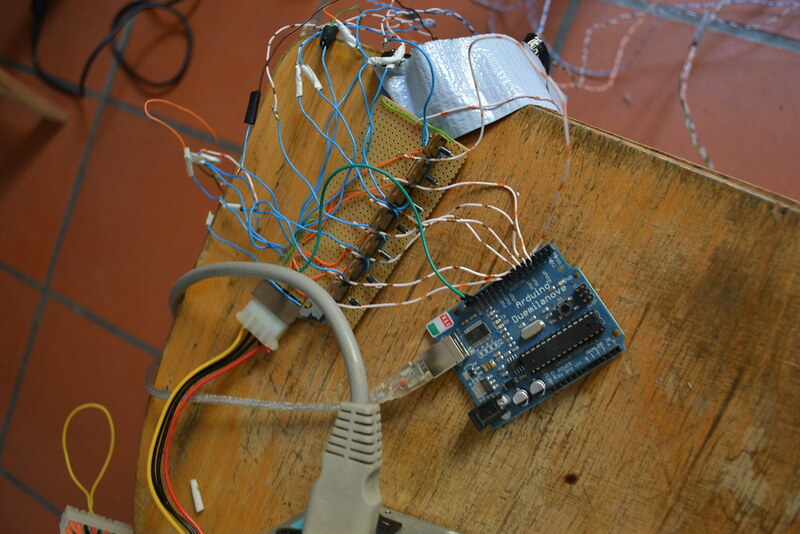 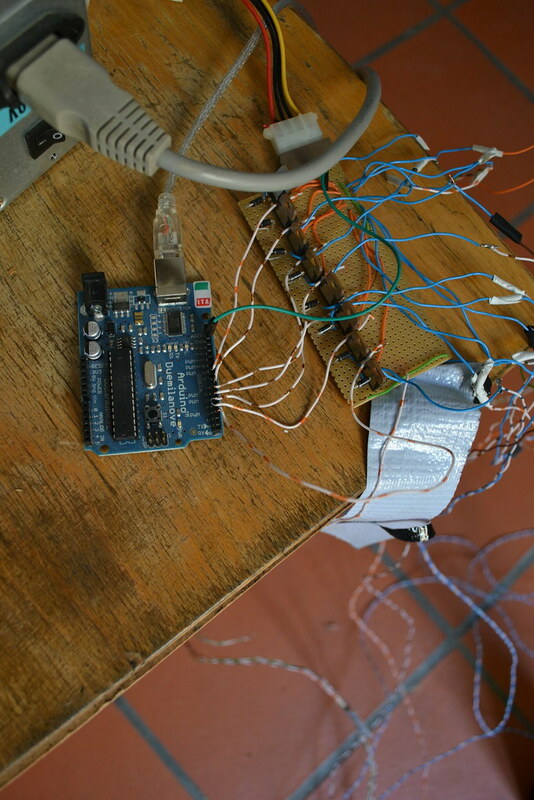 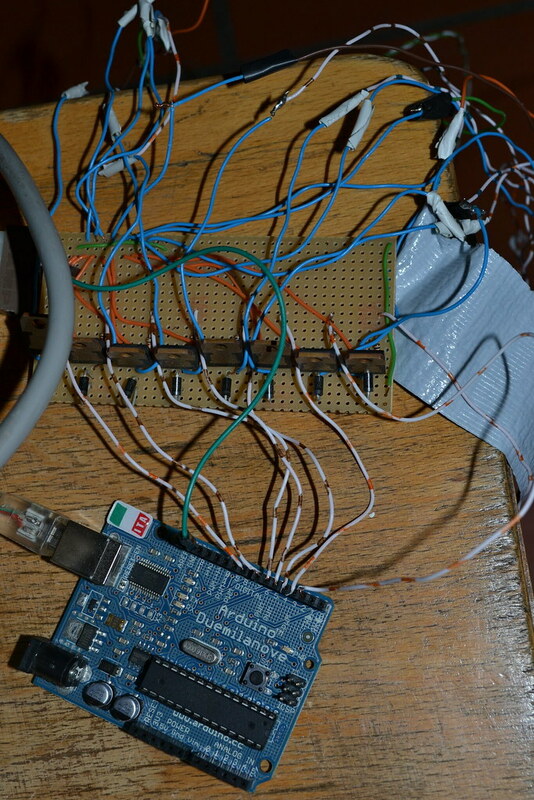 This whole installation is realized with a bunch of eight solenoids (electromagnets), electronics and programed through an Arduino.